Pray4Zion is ministry that God has called to help His chosen people the Jews and His Land Israel. With the generosity of the partners each month we financially support the under-privileged in the local community by providing food, medication and towards dental needs where most needed; School Children and University Students; cancer children in Israel and Care packages to IDF Soldiers and their families in need. We bring awareness to the Body of Christ about their Hebraic roots and to educate against Replacement Theology and Anti-Semitism. Whether you understand it or not, events in the Middle East are destined to affect the lives of every person on earth! Bible prophecy gives us the clues to understand what will happen. "Within a hundred years of physical and chemical science, man will know what the ATOM is. It is my belief that when science reaches this stage, God will come down with His big ring of keys and will say to humanity; ‘Gentlemen, it is closing time.’"
The first part of Berchelt’s forcast is history. We live in the perilous atomic and nuclear age. What about the remainder of the prediction? How near is closing time? And, what is closing? Are we to expect the end of the world? …Judgement? Will some power hungry leader plunge the world into a life ending nuclear nightmare? Would experiments in germ warfare or the creation of new life forms bring about scientific suicide? Today’s uncertainties have produced immense interest in the future. Something is in the wind and it has not gone unnoticed! Curiosity about the future is not new. Even the Disciples of Yeshua (Jesus) longed for more light on things to come when they asked, "… what shall be the sign of your coming, and of the end of the world?" (Matthew 24:3) The Lord’s answer to their question, along with other Bible prophecies provides a composite of required conditions for closing time. War-~ "And you shall hear of, wars and rumours of wars… see that you are not troubled… for all these things must come to pass, but the end is not yet. For nations shall rise against nations… and kingdoms against kingdoms." (Matthew 24:6–7) Wars seem unthinkable in this age of unparallel education. One would think that enlightened man would have forsaken such a barbaric practice. Yet the twentieth century, more than any other, has demonstrated that fool heads and empty hearts produce violence. Twice in a span of a generation, Europe’s most scientifically advanced nations plunged the world into bloody conflict. And, Armageddon approaches-~ although wars have been fought throughout history; the Bible says that the end-time battles will be more frequent and more disastrous…The situation is compared to a woman in travail – labour… The pains increase with frequency and severity as the birth draws near (Romans 8:22, 23). Fifty-two million people were killed in WWII, compared with eight million in WWI. The prospects of casualties in a future conflict are mind boggling! According to Revelations 9: 3 – 19; a third of mankind will be destroyed (estimation of 2.2 Billion people). Even small nations are assembling arsenals of doomsday proportions. This is another fulfilment of prophecy… "Proclaim this among the nations: Prepare war, wake up the mighty men, and let all the men of war draw near; let them come up. Beat your ploughshares into swords, and your pruning hooks into spears. Let the weak (small nations) say; I am strong (Joel 3: 9 – 10)." The Arab alliance in Psalm 83 will be formed before the anti-Christ comes into power. It will be an attempt by Israel’s Islamic neighbours to take back Israel by force. Their "holy war" will end with Israel greatly weakened. Nevertheless, these attacking forces will seemingly suffer a devastating defeat with the renowned Islamic city of Damascus left in utter ruins (Isaiah 17:12–13). The war will also leave Israel without threatening enemies along her northern and eastern borders. As the Islamic world is likely to retreat from further hostile actions toward Israel and withdraw to deal with its "public disgrace" – that’s exactly what happened after each of the massive Arab invasions of Israel in past wars. 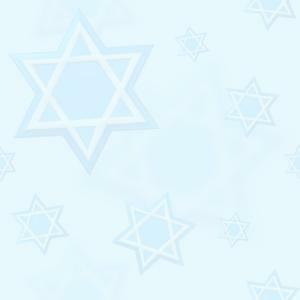 The destruction of Damascus, will, however, also unleash a backlash against the Jewish State. Israel’s non-conventional weapons will be replaced by super power guarantees of Israel’s safety. Israel then stripped of her defences is exactly where Ezekiel’s Gog and Magog begin! 1. The war takes place in the "latter years" (Ezekiel 38:8), or the "latter days" (Vs. 16). 2. The war can only take place when the Jews are in their land. This prophecy could NOT be fulfilled before 1948. 3. At the time of the invasion of Israel, Russia must be a major military power. 4. The war between Russia and Israel must take place when the Jews are dwelling securely in their land. The threat of Arab invasion will therefore have been removed to the point that the Jews feel safe Ezekiel 38: 11. Students of Bible prophecy have long expected a Russian military move in the Middle East. In the early 1900’s Dr. Ironside wrote, "In the last days, the final head of the Russian people will look with covetous eyes upon the great developments in the land of Palestine. They will determine that Russia must have her part of the wealth there produced. Consequently, we have the picture of a vast army, accompanied by warriors from Persia, Cush, Put, marching down towards Palestine. Who is Gog? Where is the land of Magog? Where would one look on a map today to find the cities of Meshech and Tubal? To what nations did Ezekiel refer when he wrote of Gomer and Togamah? The evidence builds-~ the word that is translated “chief” in Ezekiel 38:3, is “Rosh” (head) in the Hebrew language. For centuries prophetic scholars have agreed that the word Rosh is the proper name. Allowing this long accepted conclusion in the translation of this verse would make it read, “and say thus says the Lord God; behold I am against you, O Gog, the Rosh (head, chief, prince) of Meshech and Tubal. But who is Rosh? “Rosh” was the name of the tribe dwelling in the area of the Volga River. And, “Rosh” is the word for “Russia.” The Bishop of London 200 years ago ~ Robert Lowth, wrote that “Rosh” taken as proper name in Ezekiel signifies the inhabitants of Scythia from whom the Modern Russian’s derive their modern name. The name Russia dates only from the 17th Century and was formed from the ancient name “Russ” or “Rosh.” It is clear that Ezekiel was delivering a warning to the Russian prince head of Meshech and Tubal. Gog is the prince and Magog his land! Josephus the Jewish Historian who lived about two thousand years ago stated that the Scythians were called “Magogites” by the Greeks and the Scythians populated Russia. The Allies of Russia in that fierce conquest against Israel in the end time war of Ezekiel will be; Persia (Iraq and Iran), Ethiopia, Libya, Gomer (Eastern Europe) and Togamah (Turkey). There is no need to marshal the scholars of the past to confirm the place or purpose of this coming war; it is explained in Ezekiel 38: 8. And… what a clear and up-to-date description of Israel today! Will Gog Attack Jerusalem? Motivated by a desire to plunder Israel’s economic resources, Gog’s invasion, is stated to be against those; who live at the centre of the world (Ezekiel 38:12 ESV) and Ezekiel 5:5 employs this expression in reference to the Holy City. The unfolding mystery-~ the purpose of this war has long caused questions for commentators. Ezekiel explains the purpose to be two-fold… to take a spoil and to take a prey! (Ezekiel 38: 11 – 12) The poverty of early Palestine made this difficult to understand, but now the mystery is unfolding because Israel is prosperous. The Jews have been the prey of persecutors for thousands of years. Today, if it were military possible, they (Israel) would be the prey of their Arab neighbours. In the coming war with Russia, nearly all the Arab nations WILL be allies of Russia and their primary purpose will be to take a prey – Israel with Jerusalem as their ultimate prize. The Russians, however, will be marching to the Middle East to take a spoil…And, they will be pleased to co-operate in the conquest of Israel, knowing that when their military forces overrun the Middle East they will control all the wealth there including the Arab oil. Recent history has demonstrated that those who become allies of Russia are soon totally controlled by her… So while the Arabs will join the attack against Israel to take a prey… Russia will be invading to take a spoil and the spoil is OIL. And. In addition the mineral wealth of the Dead Sea valued at trillions of US Dollars. As the Bible specifically tells us that Russia WILL play an important military roll in the last days. Though all the talk these days are about Russia disarming, it is clear that she is still well equipped to play out that final end-times roll scripted for her in prophecy. The Bible also is very clear that there will be a period of time in the last days when the whole world lets down its guard. It will be a time of great hope, but it will be a very false hope and false peace! “Armageddon” has come to stand for the most terrible of all wars. However, the word actually means “Mount of Megiddo,” a small mountain overlooking the Mediterranean Sea. The great valley there has been a battlefield for many conquerors. Since the fall of man, earth’s population has been training for Armageddon. Every tiny skirmish and world war has been a preliminary to the battle of battles; Armageddon. One expression from the Bible that almost everyone has heard is Armageddon… This will be the final battle between evil and God. Armageddon is not a battle between good and evil on earth. It is the battle where God Himself directly intervenes and destroys the largest army in history. These armies are the third attempt to destroy Israel and take Jerusalem. Jerusalem means “City of Peace” or “Foundation of Peace.” But, the history of Jerusalem is one of war and destruction. The sound of battle, the clash of arms… has been heard in Jerusalem throughout the centuries! The final war WILL be fought over Jerusalem…! After the defeat of Russia and its confederation, the remaining nations will converge on Israel. God is using Jerusalem as a “LURE,” and the people in rebellion against Him will come literally by the hundred of millions. The prophet Zechariah shows that the final battle before the Second Coming of Yeshua (Jesus) will be over Jerusalem. All the nations will be drawn to Jerusalem; Zechariah 14:1 and Joel 3:2. All of mans rebellion against God will culminate at this battle over Jerusalem. During the previous battles, there is no indication from Scripture that Jerusalem was overrun. In this final battle, an army of two hundred million invade the Middle East. This huge army comes from Asia. All of Asia will be at this battle, along with the other nations of the world. Asia will be unified as the army marches to Israel (Revelation 9:14 – 16; 18). The ancient dividing line-~ The Euphrates River is significant! Ancient historians used that river as the dividing line between Asia Minor – what we call the Middle East and Asia – or the Far East. This army is going to cross the Euphrates River and pour into the Middle East. The Bible says this army is the; “kings of the East” or “Asia,” Revelations 16:12, 14 – 16. Like Russia, China too, has an important and terrifying role in the end-time scenario. And, never before has the giant power of the east seemed more prone to assuring its fateful place in history and Bible prophecy of twenty centuries ago! The sleeping giant-~ China has been a real sleeping giant and for centuries had been in decline. It appears that in the near future Asia will be united under China. Today, China combined with the rest of Asia can field an army of two hundred million people and has been undertaking a huge military build-up in recent years. For the countries of Asia to unite in a massive army that will be present at Armageddon something has to happen to American power in Asia. At the present time the USA is the block preventing this from happening. For all of Asia to be united, America has to cease as an Asian world power. The future for the USA looking through Bible prophecy is not good… America has been warned by God, over and over again, about their destabilizing policies against Israel, God’s Covenant Nation. It appears that God is going to remove the world power from America because of the national sin and rebellion against Him. God in His mercy has warned and warned of the coming judgement but the Church has failed to recognize the warning and lead the nation in repentance before God. If America’s power is broken in Asia, no country could stand against China. Japan, the Philippines, Indonesia and the rest of Asia would quickly fall to Chinese control. So there you have… the power line-up as it stands right now. Doesn’t it sound oh so familiar, we just discussed the way the Bible describes the centres of power in the last days. We are almost there right now! Armageddon will be the perfect picture of how the evil heart of man is apart from God. Man’s evil nature will be unrestrained during this time. The killing will be endless as man is left to his nature. God will use His covenant nation, Israel, as His Anvil to reveal His mighty power. ‘The Day of the Lord’ will be the time when the peoples of the earth get exactly what they deserve. God is totally just and during this time mankind gets exactly what is just (Obadiah 1:15). And, Armageddon will end the rebellion of man! The Lord will defend His covenant land and His people, Israel. The presence of the Lord in His glory and the power of His spoken word will destroy the armies against Israel… The war will be instantly over at the Lord’s second coming. Israel failed to recognize Yeshua (Jesus) at His first coming, but…WILL understand at His second coming. 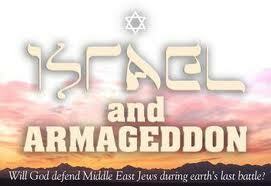 The events leading up to Armageddon will have opened the eyes of Israel to God. God is going to use these wars to the understanding that Yeshua (Jesus) was pierced on the cross for Israel as well as for all people. It will be a time of mourning and reconciliation with their Messiah. Israel will be reunited with their Messiah Yeshua (Zechariah 9: 9 – 10). The battle of Armageddon will end with the literal Second Coming of the Messiah Yeshua (Jesus). The earth WILL NOT totally be destroyed and everyone killed. God will not let this happen! Nor will He allow man to totally destroy himself and the world. This battle will lead to the near destruction of Jerusalem and the covenant land. The entire earth is going to be in an upheaval at this time and there will be massive natural disasters in addition to the wars. There will also be signs in the heavens and there will be great darkness over all the earth as the sun will be darkened. There will be NO mistake in the Second Coming of the Lord. And, His coming WILL NOT be hidden, but will be supernatural. With this complete background of complete darkness… He will appear in the heavens (Matthew 24:29 -30). From the natural human perspective, man is hurling towards Armageddon… but from God’s perspective, He is getting ready for the Second Coming of our Messiah Yeshua. From the natural perspective there will be no hope… but from God’s perspective it will be a beginning or a new era on the earth. Why such suffering? Why would God allow such destruction/? The Bible makes it clear that He would do it for only one reason – so that humanity might finally learn its lesson and turn to God’s free gift of forgiveness in Messiah Yeshua; Jesus Christ, Ezekiel 33:11. God does care about us and that’s why He made special preparation for all believers so that we might be spared this misery and torment of the final tribulation. God’s Word has truly been proven in the furnace of the earth. God has done all of this with Israel out in the open for all to see. Nothing has been hidden by God or done in secret. God is bringing the fulfilment of His prophetic plan for the Second Coming of His Son right before the eyes of the entire world. The Bible speaks about more than Israel. It tells of a literal heaven and hell and eternal life. It talks about mankind being separated from God by sin. It talks about God’s love for man. It talks about forgiveness of sin and reconciliation with the Holy God of Israel. It talks about God in the person of Yeshua HaMashiach – Jesus Christ the Messiah, dying on the cross to pay the price for sin. The authority of the Bible has been proven by the nation of Israel. The Bible is the ultimate source and great attention should be paid to its message. Israel became a people and a nation and more than thirty-two hundred years ago and some two thousand years before the event of Islam… Israel and God’s chosen people will remain in the headlines this year!